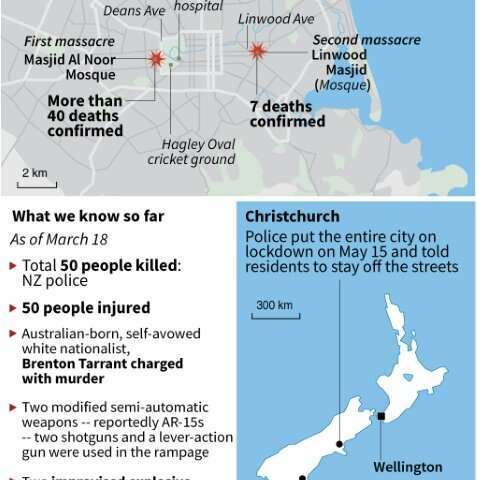 UPDATED graphic on the Christchurch shooting attack Friday. But despite pleas—and official orders from authorities—not to share the content, the footage proliferated widely online and experts said the 17-minute video was easily retrievable several hours after the attack that killed 50 people. 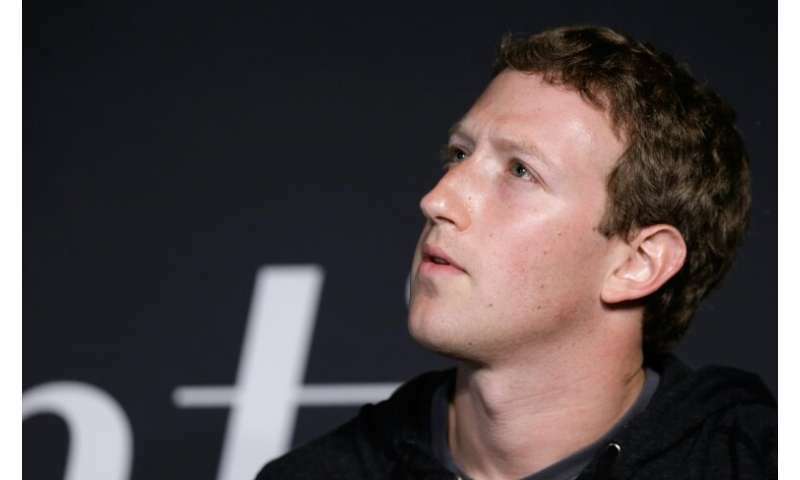 This was not the first time Facebook Live has been used to broadcast atrocities—a murder was livestreamed in the US city of Cleveland in 2017—and Facebook and Twitter say they have invested in technology and human resources to combat the problem. "There needs to be the capability to be able to shut this—these horrific things—down immediately and if you can't do that, then the responsibility of having those features available is something that really generally needs to be questioned," he added. Courts are also taking almost immediate action, with a Christchurch 18-year-old—whose name was suppressed by the judge—charged with distributing the video and inciting violence with a post that said "target acquired". 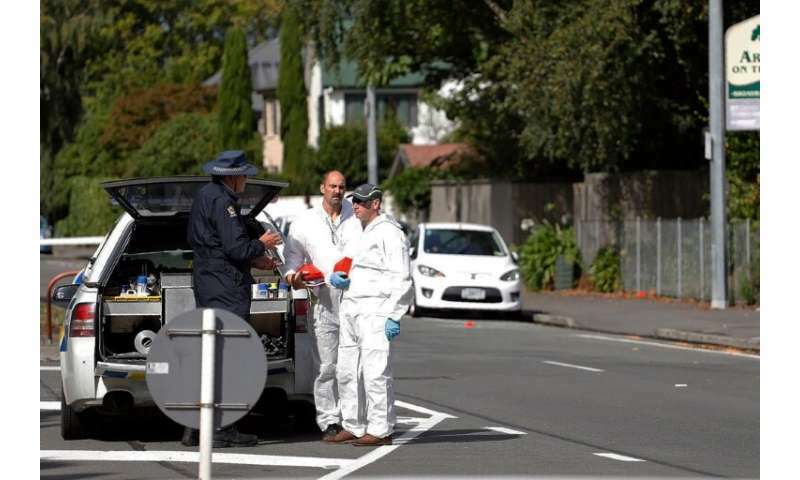 Forensic experts collect evidence near one of the attacked mosques in Christchurch New Zealand's prime minister vowed to toughen the country's gun laws after revealing Saturday that the man accused of murdering 49 people in two mosques legally purchased the arsenal of firearms used in the massacre. 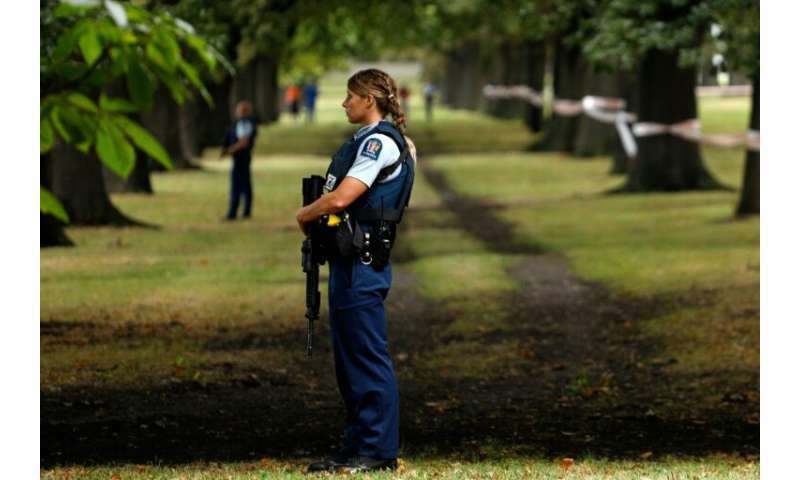 Jacinda Ardern said the gunman, 28-year-old Australian Brenton Tarrant, obtained a "Category A" gun licence in November 2017 and began purchasing the five weapons used in Friday's attacks in the southern city of Christchurch the following month. Remember that, in "Fahrenheit 451", the government "justified" destroying all books was because they made people sad. Keeping them emptily amused was what the government sought. How soon before all reference to events is eliminated? Team that up with initiatives promoting universal drug addiction by "legalizing" all drugs and serious questions about government's interest in the welfare of the public can be raised. What exactly are you saying ? Go to the point !